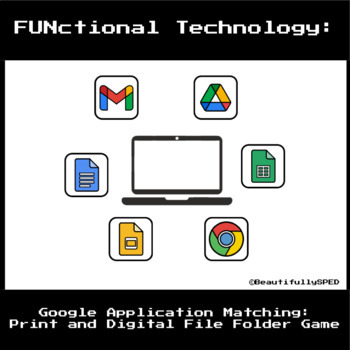 As a middle school teacher who teaches life skills I understand the importance of teaching our students how to use technology in a functional way. I also know how few resources there are to teach our students the important skills they need. 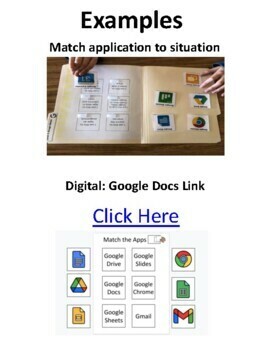 This resource will help our students be able to identify various computer programs and what we use them for. 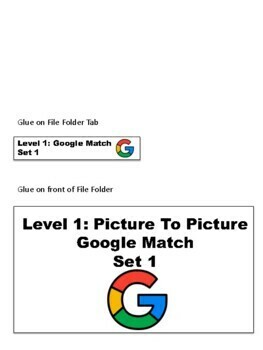 I like to use these folders while completed the AFLS and when introducing google drive to my students. I like to place these in independent work tasks bins to help my students maintain their skills.